These ladies’ open-heel pumps have a patent finish, giving them a more elegant and festive look. 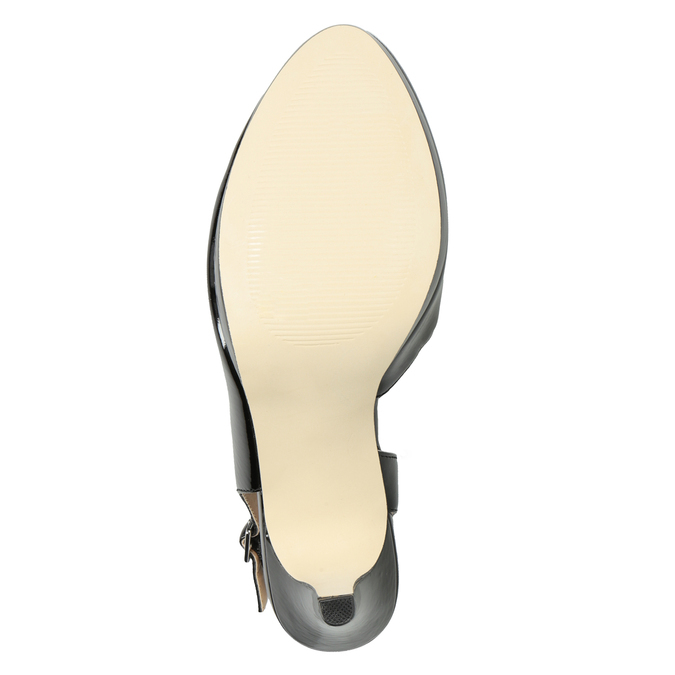 The Insolia technology makes the stiletto heel comfortable, as it distributes your weight perfectly across the whole of your foot. The low platform and leather insole also contribute to comfort. Wear this model for special occasions or with an office outfit.